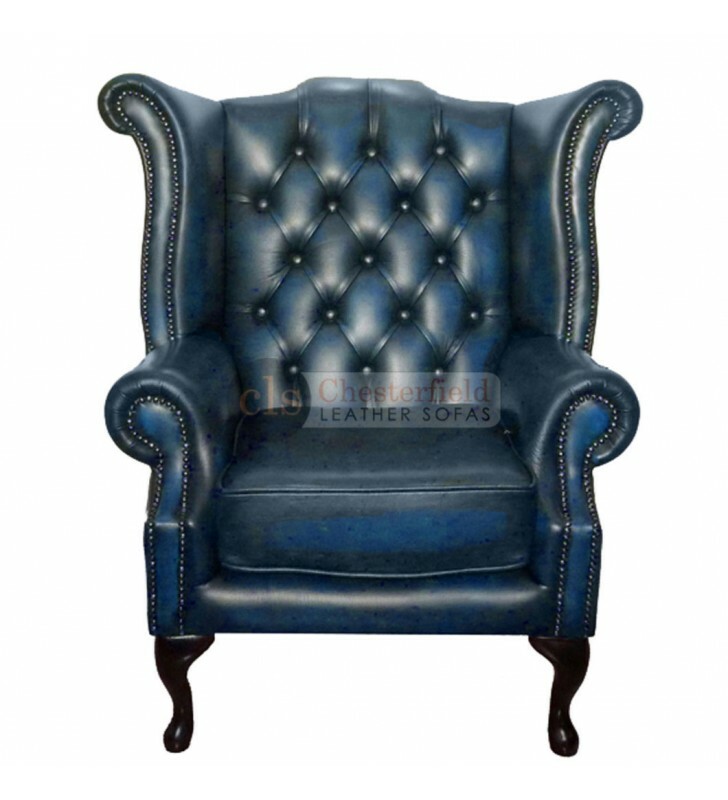 Providing you with comfort and style, the Antique Blue Chesterfield Queen Anne Armchair will add a touch of British class to any living space, the traditional high back style and curved arms are lined with tarnished brass beadings. This elegant armchair will supply you with years of solace. Handmade in the UK using the finest genuine leather.